Monetize a website. What does this mean? Once you build your website and have created content to attract traffic, how do we make money form it? 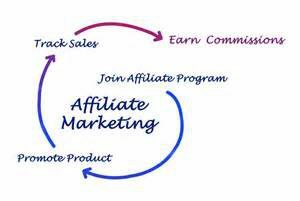 There are many ways to make money but one of the most common ways that I use is Affiliate Marketing. So what is Affiliate Marketing? Affiliate marketing is the process of selling someone else’s product on-line and making a commission on that sale. For example, if you wanted to market women’s handbags, you would sign up with vendors who were willing to pay you a commission on each sale. On your website write content about women’s handbags and then link some words or images to the vendors that sell the handbags. You will need to apply as an Affiliate firstly and once the vendor approves your application they will give you your own Unique Affiliate Code that you add to your websites chosen words or images and when the person visiting your website, clicks on these words and images they are sent to the vendors website. If they decide to make a purchase, because of your great review, then the vendor will pay you a commission. I know what you’re next question is. Where do we find these vendors? There are outside third party affiliate programs that most marketers use. These companies (such as Commission Junction and Amazon) have hundreds of vendors who work in partnership with them. You sign up with the affiliate program and then you are able to sign up for individual vendors. These companies manage the affiliate program for the actual vendor. Making it easy to keep track of your earnings. Making money using affiliate marketing is a great way to catapult your new business. Your next question. What products can I market? Well the choice is endless. Just sit back and name any item you want. What do you know some thing about? You might know a bit about fishing, video games, camping, car repairs, horse ride equipment, bird fancier, dog training, kitchen appliances, scarves, dresses and the list goes on and on and on. The best start is building a website around a product that you know a fair bit about. Why do you think that is? If you are full of knowledge on a particular topic, then you can give out valuable and interesting information on your topic. There are over 2 million people or more, yes 2,000,000 people or more, each and every day searching for information on something that they need at that moment. Why not help them and make some money for yourself. If your website is getting 1000 hits per month and you recommend some car repair tools that you used and worked for you, your visitors may click on the selling vendors link of the tools and buy them. Paying you a commission for the sale. Now, scale that up to owning 10 websites selling various products. If you only made $2 each on those (which is very low by industry standards), then you are looking at thousand of dollars per month. Affiliate marketing has no limits, so you are only governed by your ability to build sites and write articles efficiently. I am going to give you some Affiliate Marketing Tips to get you started. Some people make out that Affiliate Marketing is this big scary thing that you can’t possibly succeed at, while others make it sound like all you need to do is make an ad, link it, and you’ll make millions. Somewhere in the middle is the truth about affiliate marketing. You don’t have to use these tips to be successful in your affiliate marketing but there is no question they will definitely help with you on your way. There are millions of products on the market for sale so finding the right affiliate product is definitely feasible. You need to research products and find those that you believe in. You need to be happy to recommend the product if you plan to sell it to other people. Do you believe the product you are selling is worthy of promotion, that it is something that others should know about and use? Will it solve someone’s problem? If you answered yes then it’s a product worth selling. Don’t sell the product directly like it’s yours. Rather promote the product based on your experiences. For example, rather than selling the product direct, talk about it in terms of ‘My experience,’ ‘I used and liked,’ ‘This product helped me…’ You get the idea. By promoting the product in this manner, you help to build trust with your visitors who see you as being helpful rather than someone selling something. The pressure disappears and the visitors are far more likely to make a purchase. Trust is important in every part of our lives. So you should expect your visitors to feel the same. Would like the following link on your website content? I don’t think it looks nice and appealing and professional. Actually it looks ugly. You want to eliminate those long ugly affiliate links. You can do this by linking the Affiliate Link to a word or an image in your content article. Most links are in blue and underlined. I am sure you have seen them before. Blue and underlined has become pretty much the norm that people understand that when they see it, it is a link to some where else. It will also increase your click through rate. The same Affiliate Link Code example above could be linked to words like Best Affiliate Program or My Recommended Affiliate Program Much nicer looking and standing out because of the colour. Did I mention Reviews? Using written reviews is an excellent working strategy. This is one of the best tips floating around. With reviews that you write, you will talk about the product on a page. You will tell the readers about the product you are reviewing, both pros and cons, to provide your readers with insight. You might also compare products. Use words like I explained above. Talk about it in terms of ‘My experience,’ ‘I used and liked,’ ‘This product helped me…’It’s that trust again. People react well to images. Images break up the page and broaden the page article as well. Use 2 or 3 images in each review to show off the product and the benefits of the product to your readers. Yes, the benefits are more important than the features, so use images to show how the product can improve your readers’ lives. Don’t forget to use the images as links as well. You can tell your visitors to click on the link to get more information as well from the vendor. Remember once your visitor goes to the vendors page they are just that step closer to making a purchase. There’s an endless array of products on the market that you could review, but stick to those that can actually make you a decent commission and forget those that don’t pay well. This doesn’t mean avoid low ticket items. A $10 item might have a 20% commission and a $100 item might have a 10% commission. It’s easier to sell cheap products. But what it does mean is you should avoid the $10 item that pays $1 commission or the $100 item that pays you a couple of dollars. Choose your affiliate products wisely. 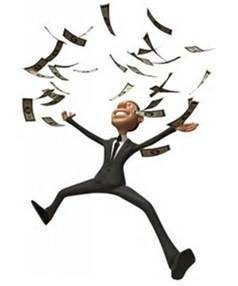 Your goal is to build a profitable income stream so keep that in mind. These 6 practical tips can help you have a successful affiliate marketing program that can continue to grow as you become an expert and build upon your knowledge. More knowledge about Affiliate marketing can be gained by clicking the image below. Just click and sign up for free. Affiliate marketing is a great way to enjoy multiple sources of income. Many internet users are tired of being fed lies and being offered products that are inferior or useless. Your readers are demanding more! By offering affiliate marketing products that are usable and of great quality you significantly increase the likelihood of selling the products. You too can make money through affiliate marketing. Hi John, I think that the site and information that you have presented about being an affiliate is spot on! I love that you pointed out that you should promote things you like because we are the very best at promoting things we like…if you try to promote something that doesn’t excite you then you are likely going to feel like you are betraying yourself and others in some way. That surely won’t deliver more clicks or sales for that product! Lol. Hi Keith, thanks for dropping by. Yes promoting some thing that you like or are good at just explains to the reader and potential customer that you are an expert in your topic/niche. I am a butcher so naturally meat is some thing I promote. Here’s my site wwwaskjohnthebutcher.com I have posts and pages about topics that I am an expert in and then monetize these topics. People are searching for info first then if they like and build trust with you, they become a customer.Just an example for you to show any thing can be monetized. I have been doing affiliate marketing for a year now, but my income is really slow. You mentioned about getting 1000 hits per month on a website can lead to a higher sales conversion. May I know what technique you recommend in order to get that kind of traffic? Mine is still lingering between 100 to 200 clicks per month and I am trying to give it more boost. Hi Cathy, thanks for visiting. Thanks for your question. It is a good one. Attracting traffic is what every affiliate marketer strives to achieve. More traffic leads to better opportunity to produce sales obviously as you know. The technique that I use and recommend is producing quality content articles that are “Keyword Rich”. Research the article/post you wish to write and search the keywords that are popular but with less competition. If you haven’t signed up to Wealthy Affiliate just yet, then I suggest signing up for free and take a look at some of the courses available within the program that give you step by step on how to build traffic and constantly improve your site. I suggest just keep writing quality content for your sites and eventually as your sites rankings improve your traffic will increase and so will your sales. That’s what I do and it works for me.